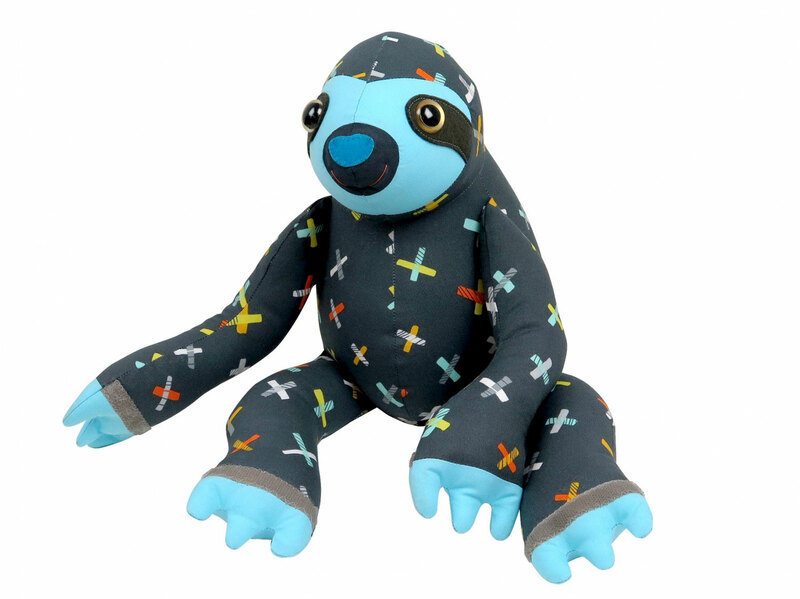 Finished Size for this Slowpoke: 46cm (18in) tall, 27cm (11in) sitting! 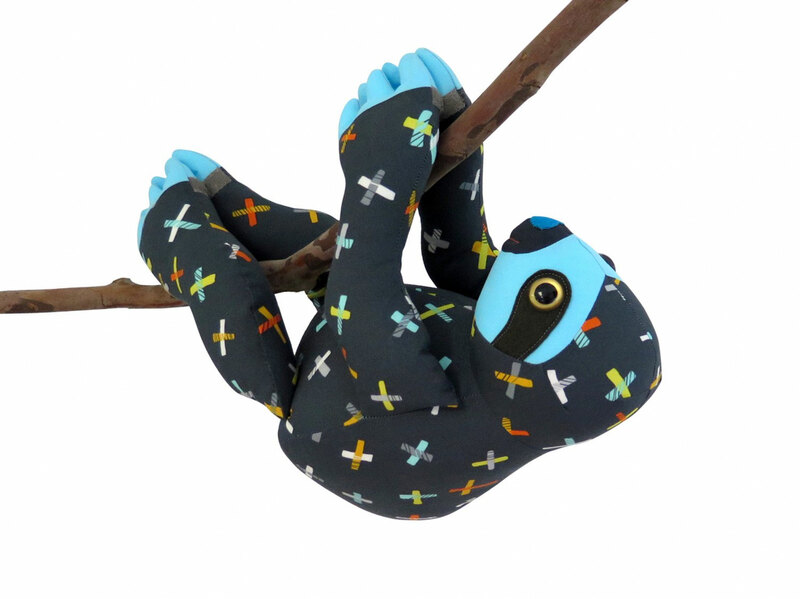 Slowpoke is a seriously cute, three-toed Sloth who loves snoozing, sleeping and hanging around, chilling out. 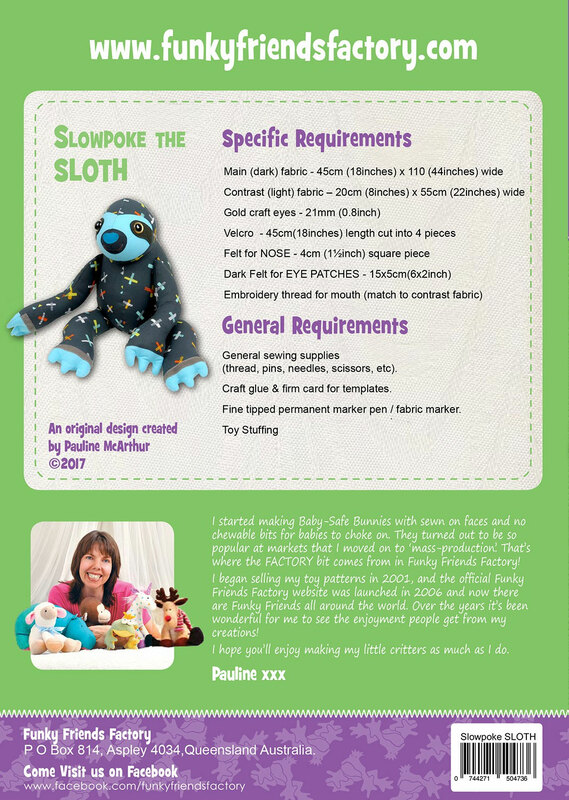 He's a simple pattern so you can make a whole sleuth of sloths! Slowpoke has hook and loop tape claws to attach himself to the nearest siesta spot for a bit of shut-eye. With a sweet smiley face he'll cheer up everyone's day!